Have you ever wished you could magically zap yourself somewhere? WeGoLook might not give you magical abilities, but they offer something pretty darn close. Say you’re moving cross country and want to rent an apartment, but you need to verify that everything checks out. Or say your business is expanding and needs a real estate inspection for an office location in another country. Zapping powers would be ideal in both scenarios. Unfortunately, most of us can’t zap. Instead of making a costly and time-consuming trip, WeGoLook goes to look for you. “We’re effectively the Uber of inspections,” explained Kenneth Knoll, Chief Operating Officer of WeGoLook. The company, founded in 2010 and headquartered in Oklahoma City, offers a platform that connects businesses and individuals with over 30,000 inspectors known as “Lookers” who collect field data, photos, and videos to help WeGoLook’s customers make informed decisions. WeGoLook’s customer support team serves both the company’s customers and Lookers, as well as the people having their car, apartment, or real estate inspected. To cater to each side of the marketplace they serve, WeGoLook immediately began searching for a ticketing system that would help manage and provide insight into each of their unique audiences. WeGoLook began by offering email support and has expanded to provide a full-blown multi-channel solution. For example, the team noticed their B2B customers, like insurance companies, prefer to order inspection reports or confirm an order’s contents over the phone or via email. Thus, it was important that WeGoLook could track the customer’s journey across both these channels from a single, integrated system. By contrast, Lookers in the field tend to prefer mobile-based channels, so the team’s next step was to add SMS as a channel. WeGoLook used to place calls to on-site contacts scheduled to meet with Lookers, but found that people often won’t answer an unknown number. When WeGoLook tested SMS with their on-site contacts, the response rate was much higher, which ensured a smoother experience for everyone involved, from customers to Lookers to on-site contacts. 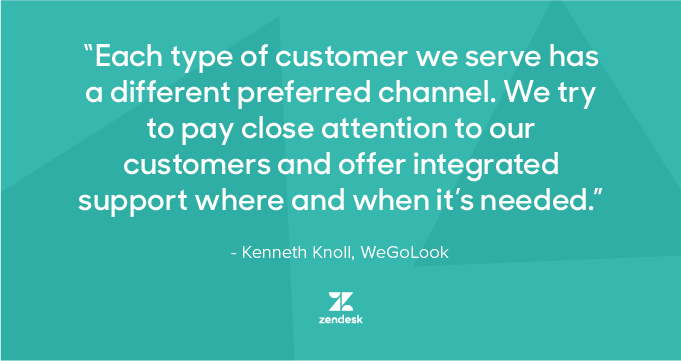 By integrating phone and SMS into Zendesk Support, WeGoLook can quickly mitigate any issues that arise. If, for example, a Looker is on-site but can’t access a locked building, they can reach out via the channel that offers the quickest response. “It can take 90 minutes to respond to an email or voicemail, whereas it only takes 90 seconds to respond via text,” Knoll said. Besides responding quickly to Lookers, the WeGoLook support team also keeps track of any unresponsive inspectors. “Support makes it easy to send follow-up tickets asking for updates. If we don’t get a response, the system sends automated notifications,” he said. Additionally, WeGoLook has found that some customers, Lookers, and on-site contacts will reach out on SMS, switch to email, and then return to SMS. 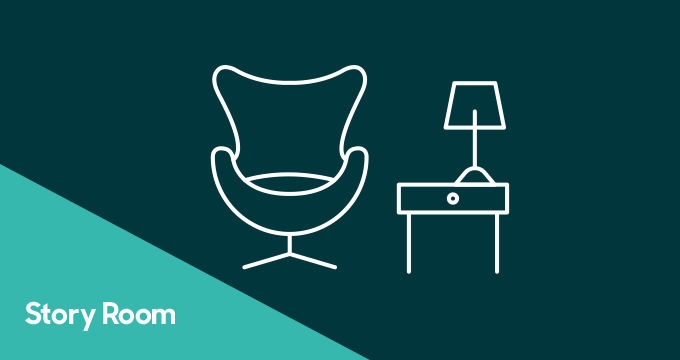 “With Zendesk Support we get a centralized look at the customer. We can pull up the customer’s history, see the number tied to the ticket, and help the customer right away. The tool provides the context that enables us to be effective in our support,” Knoll said. 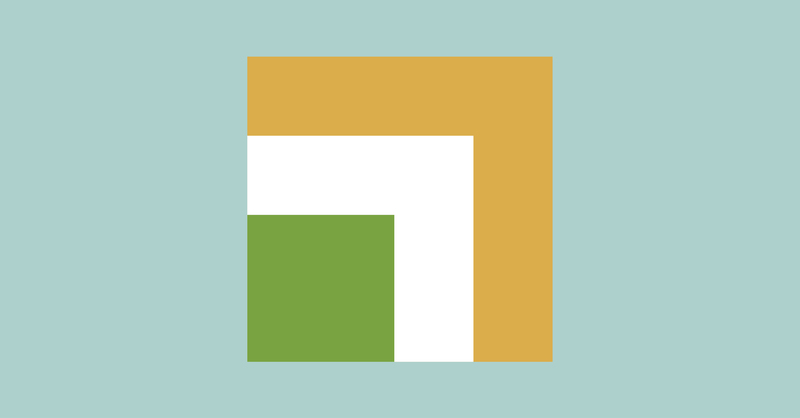 The ability to access a customer’s interactions in any channel from a central tool has allowed WeGoLook to build sophisticated workflows into Zendesk Support to help provide that seamless experience. And, since transitioning off email and implementing Zendesk Support, WeGoLook’s customer support team of nearly 100 agents has grown into a culture of measurement, where they have a nuanced understanding of their customers and know how long different types of inspections take, the channels their customers prefer to use, where the support team is doing well, and where they can set their sights next.